The truth is, most owners struggle with the discipline side of things. They struggle with the rules, the enforcement, and structure, so keeping an eye on the corresponding freedoms is essential. If you use this scale – honestly! – it can help you better navigate all those tough questions above. It can also help you tweak what’s out of whack and allow for an easy check-in with what’s really going on relationship-wise. Few industries have as much contentious, friction-filled, vitriolic, opinionated, near-religious beliefs being flung around as does the dog training world. Opinionated owners and trainers will noisily (and nastily) condemn the tools, training methods, and approaches being used by others. It might be pure positive trainers (or believers) cursing prong collars, e-collars, and/or any form of correction – or even saying “no” to your dog – or perhaps it’s “balanced” trainers slinging mud at each other for perceived poor training, or training that doesn’t mesh with their beliefs. Regardless of what camp you belong to, what tools you do or don’t endorse, and what philosophy you subscribe to, it’s all talk until you show your work. Until you show proof of what you speak. And in this day and age that should be easy enough, right? Everyone has a video recorder in their pocket today. So if anyone has some super strong beliefs, concepts, techniques, alternatives, man, I’m all ears. But first, I’m all eyes. First, show me. Don’t tell me. If your approach gets great results, show me. If you’re tools get great results, show me. If your revolutionary process creates revolutionary results, show me. It’s easy enough. Don’t show me scientific studies, or site science-y sounding rhetoric. Don’t talk to me about the how’s and why’s and benefits of a certain method. Don’t offer strongly felt opinions. Instead, show me. Show me truly troubled dogs, before training, and show me these same troubled dogs transformed, or at least tremendously improved, after training. And show me a lot of them. Don’t show me your dog, or one dog, or even three or four dogs, show me over and over your approach creating great results – and the owners getting the same results. If you’re getting great results, this should be easy enough to do. I know it’s work to capture before footage and after footage, and to edit it and all. I get it. But if you want your opinion to have any legs, and any chance of being entertained, that’s the price of admission today. If you want anyone to listen, to care, to change, to adopt something, simply show us its value. Easy peasy. And just to be clear, I’m not being a chest-beater, and declaring everyone needs to show their results (even though that sure would be nice for consumers! ), it’s only for those who shout, scream, bully, belittle, or not-so-cleverly undermine others. Those who shout about alternatives – alternative tools, methods, approaches. If you’re shouting, you should be ready to share your results, your proof. And lots of it. Because here’s the thing, talk is cheap. Everyone can talk a big game. We all can declare certain tools or approaches to be the worst, or the best, but only results matter. Only results are real. Only results walk the talk. Everything else is just the easy part…talk and opinion. P.S. If you’re an owner trying to make sense of all this stuff, my suggestion is to follow the results. But be a conscientious consumer, and be aware that video (especially those using the trainer’s own dogs) can be made to look awfully good! Many dogs shown in the positive only camp are very specific dogs (Border Collies, Aussies etc.). Dogs who enjoy chasing a ball or frisbee or a treat more than they do chasing, attacking, or freaking out on another dog, or person. And in the balanced camp, watch for high-drive working dogs (Malinois and GSD’s) who were bred to work and do amazing stuff. In both of these camps these special dogs get used for showy videos and demos, but are not showing reality – they’re showing “ringers”. Not that these breeds can’t be a mess as well, but dog trainer dogs are usually picked for their exceptional temperament and good behavior, so it’s not a good reflection of the reality of what your dog’s behavior will look like. Make sure you see actual client dogs making progress. And make sure you see the actual clients duplicating that process. So how come things have gotten so much more dicey with our dogs? How come there seems to be far more ill-behaved dogs than the “good old days”? How come there’s so much aggression, resource guarding, possessiveness, separation anxiety, reactivity, and so on? Am I just out of touch and remembering romantically those past days when dogs seemed to be dogs and humans seemed to be humans – and both seemed to be the better for it? I’m not so sure. I’m 48. I was born in the late 60’s. I remember very clearly the way our dogs lived with us (and the way most of my friend’s dogs did as well). Our dogs were far from perfect, but I don’t remember hearing much about many of the above issues. There was “dog world” and “human world”. Dogs were mostly outside, had special privilege days or hours when they got to come inside. They were companions we enjoyed during outdoor adventures or ball throwing and family time in the yard. We saw them as dogs, and for the most part, lived with them emotionally and physically like dogs. And that separation seemed to create some very clear boundaries between the two species. There was clarity. These days, most dogs live inside. They share our personal and intimate space freely. But that’s not all that’s changed. Along with the physical access, they’ve also moved inside our hearts and minds in a way that never existed previously. 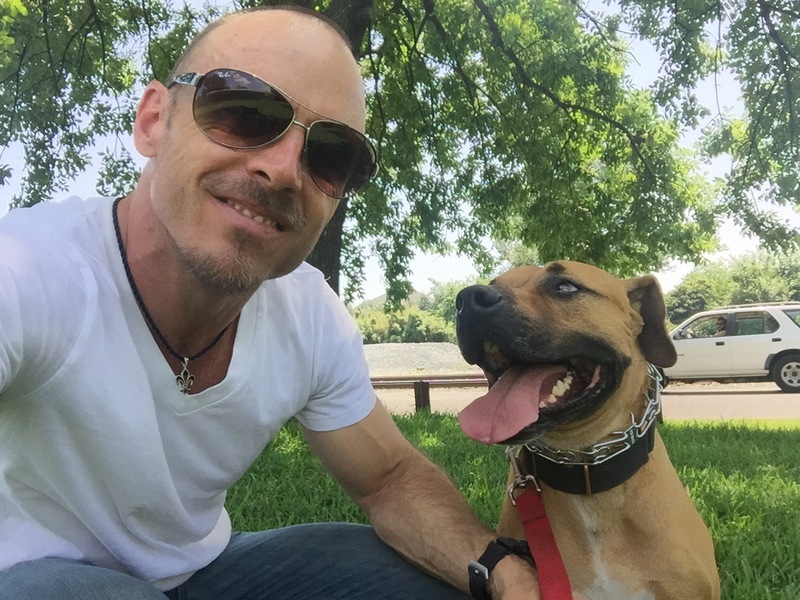 Not that previous generations didn’t love their dogs, I’m sure they did, but the role our dogs play in our emotional lives today seems much different than that of the past. Today’s dogs have access physically and emotionally to places that weren’t typically up for grabs prior. And because of this new dynamic – this dynamic of compete sharing, complete access, and complete emotional integration – we’ve blurred lines. We’ve created a lot of confusion and mixed messages, and we’ve set our dogs up to make natural assumptions and decisions based on those messages. Those assumptions and decisions have created a lot of negative fallout for our dogs, and for us who share our lives with them. Now let me be clear about a few things. I love having my dogs inside. I’d hate to live with my crew outside. My guys are allowed on furniture, sleep on my bed, and roam the house pretty much as they please. We share the space. My guys are also very important to me emotionally. They’re still dogs, but they hold a special place in my heart, and I think that’s pretty clear to them. So this begs the question: with this new dynamic of near total integration and sharing, how the heck do you keep your dogs balanced, respectful, polite, and well-behaved in the face of all these mixed messages? My feeling is this. Once we took our dogs inside, once we made them our daily physical and emotional companions, it changed what was required of us. Our parents (or maybe you if you’re of that older generation) could probably get away with not doing as much training. 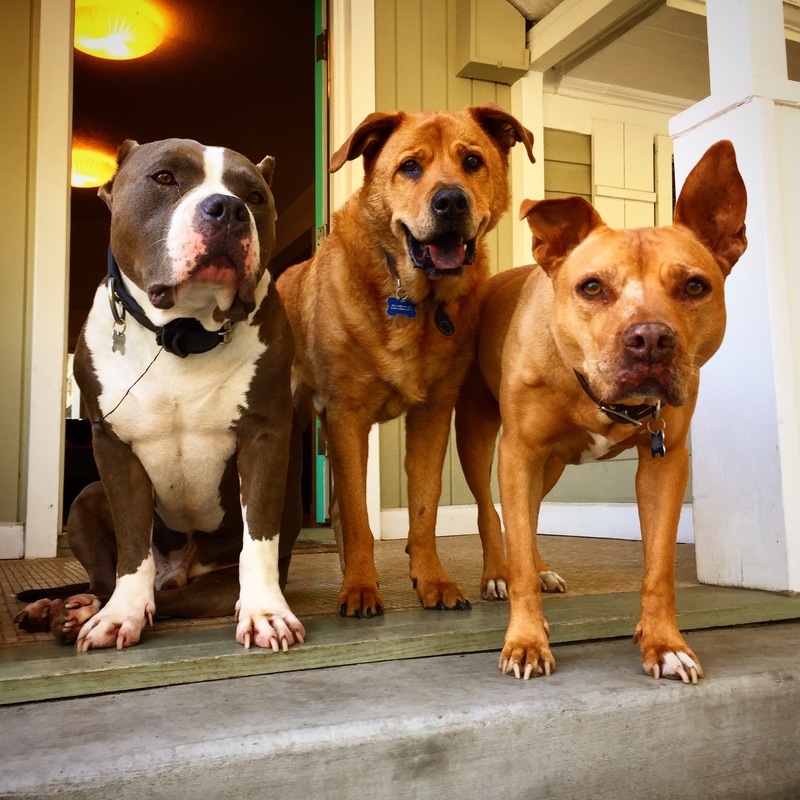 They likely didn’t need to create a ton of structure, be uber-pack leaders, or use the same tools and strategies to keep their dogs balanced. Their dogs were dogs. But for us, the ones blurring the lines, we’ve got a different reality. Because we’ve shifted our dog’s perceptions of us, because we’ve integrated them so deeply into our lives, because we’ve leaned so hard on them emotionally – many becoming surrogate children, spouses, or friends – we’ve got a whole different reality. A reality where we have to work a heck of a lot harder to keep them balanced. Once we brought them into our world in this more intimate fashion, it all changed. Our jobs as dog owners got harder, more complex. Our responsibilities, if we’re to have healthy, balanced dogs, got heavier, and more challenging. The upshot is this, we’ve fundamentally changed how we live and interact with our dogs, there’s no getting around it, and I don’t think it’s changing any time soon. Our dogs have become central players in our lives; family members we cherish and adore. And that’s not necessarily a bad thing…IF we’re prepared to do the hard work that come with that. With this new way of living comes greater challenges; the possibility of neurotic behavior, feelings of entitlement, boundary pushing, disrespect and lots more. For me, the answer was to make sure that as deep as I loved, and as much freedom I granted, that I shared equally firm, unquestionable discipline. While my guys know I love them deeply, they also know that any monkey business is met with firm, immediate, and valuable consequences. That balance of love and leadership is what allows me to have the best of both worlds. It’s work my folks and their friends likely never had to do, at least not at this level. For the most part, they chose to have their dogs be dogs, and that meant an easier human/dog lifestyle path in many ways. But that might also have meant the absence of intimate dog companionship, and perhaps lonely outdoor lives for many dogs. So there’s trade offs in both. 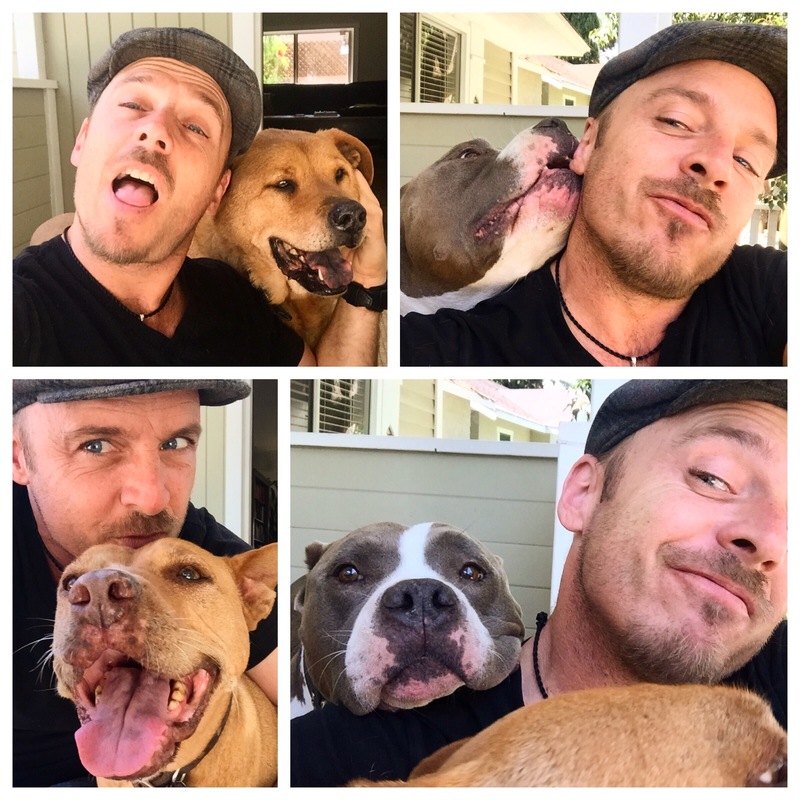 But for those of us choosing to live in the more integrated fashion, remember that that freedom, connection and enjoyment comes at a cost – if we want to have happy, healthy dogs we can enjoy. And that cost is more awareness, more responsibility, more effort, and the willingness to share as much discipline as we share love. With every gift comes an equal responsibility. Something that I think is hard for a lot of folks to wrap their heads around is that many of the issues their dogs have (both physiologically and psychologically) are simply the symptoms of being stressed and anxious. Dogs who are constantly on edge, worried, reactive, stressed and anxious have nervous and immune systems that take a beating. And when these systems take a beating, there’s going to be fallout. You’re body and mind are going to take a hit. On a regular basis, we see dogs that come in that spin, that self-mutilate, that fixate on shadows or light, that have bowel issues, allergies, skin issues, car sickness, and on and on. 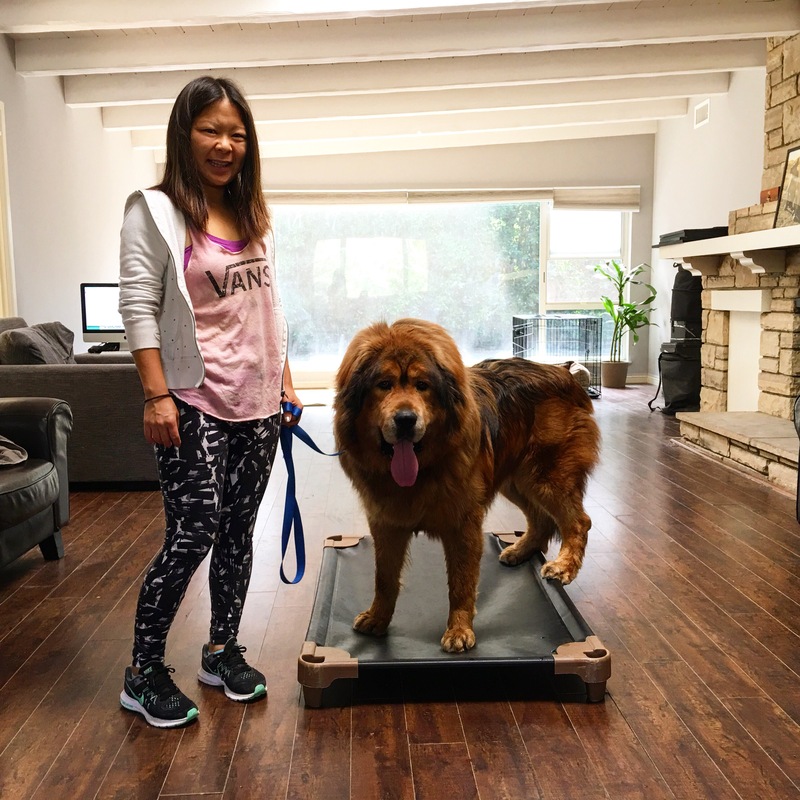 What’s fascinating is to watch how many of these dogs – without any medication or diet changes – manage to heal themselves mentally and/or physically once having gone through our training program. We’ve seen it over and over. An owner has been through all kinds of testing, meds, diet changes etc., and their dogs have remained stuck with whatever issues they’ve been struggling with. Then, after a two or three-week board and train, voila, the issue has magically disappeared or dissipated tremendously. Of course, this isn’t the case for every dog, but the numbers of afflicted dogs who have moved through long-standing issues would amaze (and delight!) you. One client recently asked me how come vets don’t know or understand or recommend training for these issues. While I’m sure some vets do (bravo! ), the vast majority either aren’t aware of it or aren’t down with it. It’s a shame, but hopefully, posts like this can help inform owners about possible options. In reality, it’s all kind of simple. If it was you instead of your dog, if it was you that were dealing with high levels of stress and anxiety chronically, your nervous system and immune system would take a beating too. You too would likely develop outlets for all that toxicity and see physical issues arise. Physiological and psychological problems are a commonly accepted result of chronic stress and anxiety in humans. Why would it be any different for our dogs? But here’s the rub. We’re much better at recognizing (and understanding) stress and anxiety in humans than we are in our dogs. We know that stress and anxiety show up in our world by way of financial issues, work issues, relationship issues etc. Our dog’s stress and anxiety are created and expressed differently. We see chronic reactivity (in the house and outside), neurotic barking, hyper-territorial behavior, bullying/being bullied, overly protective/possessiveness, assessing/worrying about strangers and guests, constant boundary pushing, and often just being hyped-up and on-edge the majority of the time, never knowing how to unplug and relax. If we could learn to see all these behaviors as massive stress and anxiety producers, and understand that they create much of the seemingly unconnected negative physical and psychological symptoms, we might look at these behaviors as being less annoying “dog stuff” and more problematic in the real sense. And how do we get there? In many ways it’s simple stuff. When we take those negative options away, when we block unwanted behavior, when we provide structure, rules, leadership, and accountability, we remove many of the stress/anxiety creating options/reactions that actually give life to the above listed symptoms. When we break old negative habits and patterns of coping, and provide new and healthier replacements, we end up with a nervous system and immune system that is solid and firing on all cylinders. And when we manage to do that successfully we end up with much healthier dogs. Of course training can fix many annoying behavior issues and create a better relationship and clear communication. We can get dogs to come when we call, stay in place instead of roaming, stand instead of jump, walk nicely on-leash, and live peacefully with us instead of making us crazy. But training can also help many issues that have long been allocated to veterinarians, medication, and management only. Good training can actually heal the mind and body. What happens after you get a speeding ticket? What happens after your doctor tell you your cholesterol is dangerously high? What happens when your spouse threatens to leave because of your behavior? What happens when your accountant tells you you’ve spent far more than you earned? Well, if any of the above matter to you, a couple things will happen. One, it’ll create some fear (what might happen if I don’t change this or it happens again?). Two, it should create some serious contemplation (Perhaps this choice/action, even if I’ve enjoyed it in the short term, doesn’t serve me in the long run). Three, it should create some future better choices (if the consequence matters, it should cause you to choose a better, more healthy choice next time). All of the above are communications about behavior, and their possible consequences. Consequences that are the result of our choices and actions. And they serve a purpose. Their purpose is to remind you that something you’re doing is putting you or your quality of life in danger. And if you look at consequences that way you can view them as gifts – gifts that enable you to reorder, course correct, change behavior that is putting you in harm’s way. Consequences for your dog should create the same results. Of course the context will be different. They won’t be overspending, eating too many hot fudge sundaes, or racing down the freeway. But they might be bolting out the front door, jumping on people, attacking another dog in the house, barking excessively, counter surfing, guarding their food, pulling like crazy on the walk, or destroying stuff in the house. And all these behaviors impact your dog’s overall quality of life as well as yours. Dogs get hit by cars every day for bolting, and dogs are returned to shelters every day for jumping, barking, guarding, destruction etc. Dogs also die every day from obstructions from eating things they shouldn’t. This is real stuff. But in our current dog owning culture, consequences are things that are deeply frowned upon. They’re things that many purport to be dangerous to your dog’s mental and emotional well being, as well as detrimental to your relationship. Best to ignore the bad and reinforce the good, right? But what if life treated us the same way? What if the policeman ignored your speeding but offered you a “Nice job!” when he saw you driving appropriately? What if your doctor ignored your cholesterol count but said “Good work, you lost two pounds.”? What if your spouse ignored your inability to manage your anger and stress, but said “You were lovely tonight” when you didn’t explode for a change? What if your accountant ignored your spending issues but said “Nice work on only spending 5k over your budget rather than the usual 10k”? What would happen is that, instead of receiving the gravity of the communication of what your actions are creating (and the danger they’re putting you in), you’d be allowed to believe things aren’t as dire or serious as they actually are. And that absence of clearly conveyed consequence for unhealthy behavior would put you directly in harm’s way. By not being direct about what is okay and what isn’t. By ignoring the truth of our actions. By prioritizing things feeling “good” rather than true, we’d be setup for impending disaster. And so it is with our dogs. We don’t clearly let them know what is isn’t okay. We ignore the bad and reward the good. We give our dogs a partial view of the reality, and then they pay the price for that lack of clarity and truth. People recommending you ignore the bad and reward the good are people who aren’t connecting reality – universal reality. The reality of the beauty of consequences. The beauty of knowing clearly what is acceptable, heathy, wanted, and what is not allowed, dangerous, and totally unacceptable. So many dog with issues tend to automatically get labeled as abused. Their owners or caretakers often create elaborate stories and possible causes for their fear, insecurity, reluctance, panic, and unique emotional triggering around specific people or things. And of course there are abused dogs out there. Of course there are dogs who have seen some really unfortunate stuff, and their behavior might be directly connected to that abuse. But in my experience as a trainer, I see very few true abuse cases, and far less abuse as the root cause of most behavior issues – including fear. What do I see more often as the actual root cause of so many behavior issues? Usually what I see isn’t some horrible event or trauma that occurred. Usually what I see is either a lack of exposure, a lack of leadership and guidance, a lack of solid genetics – or a combination of all three. The lack of exposure – which is more often referred to as socialization – is all about dogs being exposed to all kinds of novel stimuli at crucial points of the dog’s development. Without this exposure, many things that a well-socialized dog would be solid and easy with are instead huge stress and fear triggers. Almost like us seeing space creatures or a ufo. If you’ve never seen something before, there’s a good chance it’ll freak you out. And if your dog hasn’t seen a lot of stuff, and built a comprehensive stress tolerance and overall generalizing confidence that comes from that early exposure, he’s likely to be afraid, skittish, worried, maybe even downright neurotic about stuff. The lack of leadership and guidance can exacerbate the gaps listed above, or create large issues out of small ones. Here’s how this looks. A dog with some level of concern/worry/stress/fear experiences something troubling, and instead of being given information about how to better handle the stressor/trigger, the dog is allowed to experience it sans help or guidance. This means your dog experiences something troublesome, worrisome, fear-inducing, and instead of you working him through it, your dog feels the stressor and is left worried. Even well-intentioned owners often miss or allow small moments of insecurity, or are unsure how to address the issue properly. Typically this means your dog will become more and more stressed, more and more worried, and more and more fearful. This might look like out and out fear, nervous barking/growling, or even aggression towards dogs or people. One last piece of this puzzle is genetics. Genetics plays a huge role in how dogs adapt to their world and how resilient they are. Many dogs who have genetics that aren’t robust and confident will behave in very skittish and fearful ways. This behavior often gets labeled as abuse based as well – these dogs will cower, shake and have extremely poor body language. And while it might look bad, it’s simply the stuff the dog came with. No abuse, no neglect. Genetic-based insecurity and fear often looks the worst, and can be some of the toughest stuff to overcome. Once again, there are abused dogs. I’ve seen them. But the reality is, the vast majority of problem behaviors, fear issues, and other stuff that gets labeled as having an origin in abuse isn’t abuse at all. It’s far more often about what didn’t happen to the dog, rather than what did. Exposure that didn’t happen. Leadership that didn’t happen, and even genetics that didn’t happen. It’s a great reality check, to remind people that while abuse does exist, it’s far less prevalent than presented, and far less of a cause of behavior issues then most think. 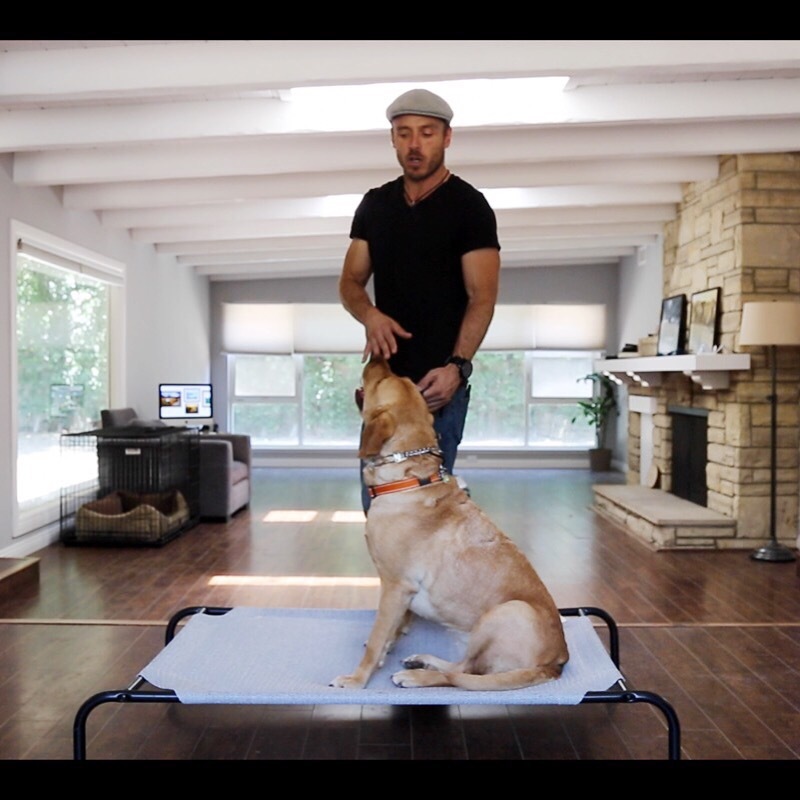 And understanding this is crucial to helping owners move from a place of feeling sorry for, or making excuses for their dogs, to instead training, leading, and guiding them with strength and resolve. And that’s the only way to truly help your dog move forward, regardless of the cause.